Did you just get engaged? First of all, congratulations! 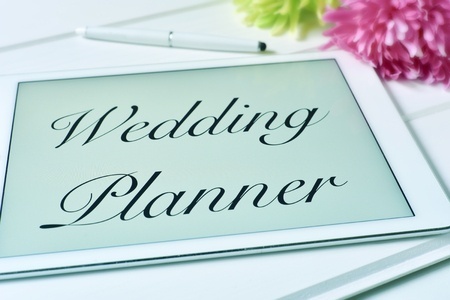 Now it’s time to start planning your big day, but no need to fret- there are several helpful digital tools to utilize so the planning process is a breeze. Now, put down the huge binder full of information you probably received from a relative, and instead take a look at your phone. You might be sick of relying on your phone these days, but it will help you plan your wedding like a pro. From sites that ensure you are staying on top of the budget to apps that delegate shopping tasks, you will be covered in every aspect of the big day. You’ll want to create a digital home for all of the essential info. Shared folders in Google Drive, Drop Box or Evernote are made to organize many different kinds of media. With Evernote, there are shared online notebooks so your partner will be able to be involved in the planning process. You can both save inspiration photos, important documents and notes that all go to the same place, which is extremely helpful when you meet with photographers or venue managers. Chances are you’ll be planning your bachelorette party, wedding shower, rehearsal dinner and wedding, so you’ll want a way to organize all of the little things you need to purchase. Awesome Note has tags that allow you to sort items by the event they’ll be used for, who will be using them and where they can be purchased so you don’t have to keep taking several shopping trips. The little purchases add up so you’ll want to stay on top of all of the expenses with WeddingHappy. This app lets you track your payments for each aspect of the wedding with detail. Another helpful feature is that you can email certain tasks to anyone who is part of the planning process. Besides using these helpful tools, it’s important to hire a professional with years of experience to take responsibility of the big details. If you are hoping to have a beautiful wedding in the Key West area, contact Aaron’s Key West Weddings by calling 305-293-8809 today!